Hey Everyone! 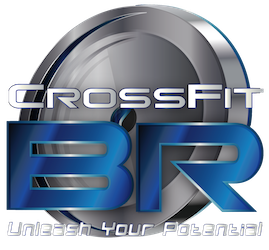 We are very excited to announce the newly revamped CrossFit BR website has launched. The new website is embedded with our Zenplanner software so members and interested clients will easily be able to contact us, sign in for classes, purchase memberships, and more. The Schedule page is a live version of our classes so you’ll have option of signing in via your Zenplanner Member App or the website since it is also mobile friendly. If you have a CrossFit friend dropping-in from out of town you can send them to the schedule page where they’ll be able to register easily for a class too. They may want to review our Box Etiquette beforehand also as not all affiliates run their gyms the same way. Speaking of friends taking classes, if you have anyone interested in joining in on the fun and fitness go ahead and send them to our homepage. From there, they can click on the No-Sweat Intro button to setup an appointment with us to discuss goals and background. A few members have asked about the WOD being posted as the page did move to now under the Members area but the link is still the same. I’d recommend saving off www.crossfitbr.com/wod in your phone’s browser for easy access to the workout of the day posting at 7pm nightly. That about wraps it up for the quick overview of our new website and there’s more to find on our about us, programs, and testimonials if you click around. I hope you are finding the new website useful so far and keep checking back to the blog as we will be updating this regularly. Reach out if you have questions or a topic you’d like to see us write about for the blog.